Officials Dienstmarken. Germany Third Reich 1941. MNH in very good condition. 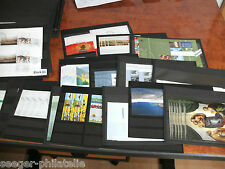 First Issue - Full Set (12). German Occupation. 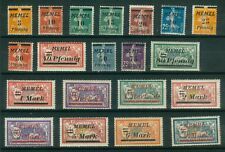 Mint (MNH, mint hinged, mint no gum) in good condition. Collection of sets, part sets, and singles. Germany Third Reich 1939-1944. Nice group of 5 authentic World War II Pow covers from Stalag 12B located at Frankenthal, Germany with a variety of markings. To and from Polish French and Belgian Pows. All have letters. Some faults as usual. (CHEMNITZ). Chemnitz, Germany. OBLITERATED ". Local " Obliterated Hitler Head, Complete Set Issues. Blue Specialized Overprint Ink. They were used until New Stamp Issues were produced. Several of the Districts have multiple distinct obliterate images/designs. (CHEMNITZ). CHEMNITZ #. OBLITERATED ". Local " Obliterated Hitler Head, Complete Set Issues. defiled Hitler Faces utilizing. Blue Specialized Overprint Ink. 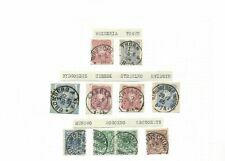 They were used until New Stamp Issues were produced. (CRIMMITSCHAU). Crimmitschau, Germany. OBLITERATED ". Local " Obliterated Hitler Head, Complete Set Issues. Blue Specialized Overprint Ink. 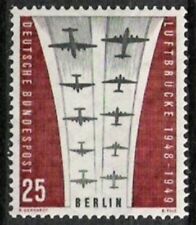 They were used until New Stamp Issues were produced. Several of the Districts have multiple distinct obliterate images/designs. (CRIMMITSCHAU). CRIMMITSCHAU, Germany. OBLITERATED ". Local " Obliterated Hitler Head, Complete Set Issues. defiled Hitler Faces utilizing. Blue Specialized Overprint Ink. They were used until New Stamp Issues were produced. OBLITERATED ". Local " Obliterated Hitler Head, Complete Set Issues. Blue Specialized Overprint Ink. They were used until New Stamp Issues were produced. Several of the Districts have multiple distinct obliterate images/designs. OBLITERATED ". Local " Obliterated Hitler Head, Complete Set Issues. OVERPRINT " 2nd Set. DRESDEN, Germany. Blue Specialized Overprint Ink. They were used until New Stamp Issues were produced. defiled Hitler Faces utilizing. OBLITERATED ". Local " Obliterated Hitler Head, Complete Set Issues. 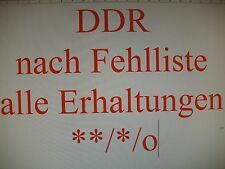 Written Dresden State ". OVERPRINT " 1st Set. DRESDEN, Germany. Blue Specialized Overprint Ink. They were used until New Stamp Issues were produced. GERMANY---OFFICES in the TURKISH EMPIRE. from my old World Wide collection.Catalog prices are from the 2015 Scott's Catalog.Mixed Condition. Must be in original condition including protector. MNH in very good condition. Fine used. 25 x 16 holes. This will only change when heavier or odd sized lots are bought or when, in. After Germans' take over the Austria in 1938, A.H. started a wide propag. On October 1, 1938 Germans crossed the border began occupation of Sudeten territories. Fine used. This will only change when heavier or odd sized lots are bought or when, in. Full sheet of the 1954 Official 70pf MNH. Folded above the 3.50 row. Große Briefmarken-Wunderkiste DDR hunderte Marken aus Flohmarkt-Nachlass. Die Bilder geben Ihnen einen Eindruck von der Qualität. I deal zur Ergänzung Ihrer Sammlung, da sehr sortenreich und mit etwas Glück sind einige komplette Sätze dabei (ohne Gewähr, da die Wundertüten nach dem Zufallsprinzip gefüllt werden). Short set missing # C33. Interesting military stationery envelope, unused, as per scans. We would like to maintain a high level of performance and would like to resolve all problems that may occur. 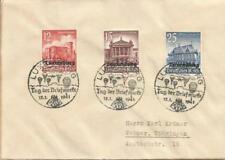 Shows origin and flight franking, stamped with start on May 18th 1930 and ends in Rio De Janeiro on May 25th 1930. This cover is clean and bears a Germany Sc. Scarce usage and really a nice cover all around. Shows origin and flight franking, stamped with start on May 18th 1930 and ends in Seville, Spain on May 19th 1930. This cover is clean and bears a Germany Sc. Scarce usage and really a nice cover all around. 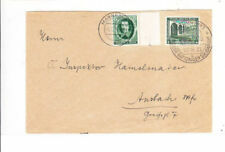 Shows origin and flight franking, stamped with start on May 18th 1930 and ends in Pernambuco on May 27th 1930. This cover is clean and bears a Germany Sc. Scarce usage and really a nice cover all around. 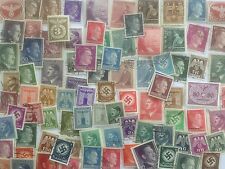 Neues AngebotDanzig 1937 Souvenir Sheet ,Scott # C41,VF Used LH Full OG !! 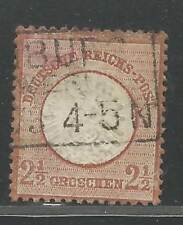 Germany Deutsches Reich 1921 Mi. 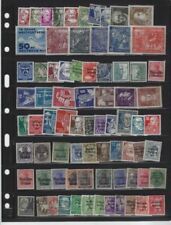 177-196 Mixed Designs Definitives Set MNH, CV EUR 50,-. 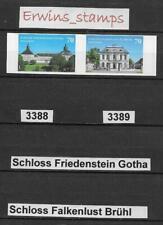 Includes portraits of all the rulers of Bavaria and a 5 pfennig embossed stamp with coat of arms. Condition as per scans. Germany Deutsches Reich 1939 Mi. Schlegel BPP, CV EUR 35,-. This example has been expertised by Schlegel BPP. Stunning single 6 19 Rpf. The green stamp features Albrecht Dürer's portrait of a young Venetian girl. 1947 Dove of Peace 5m used.